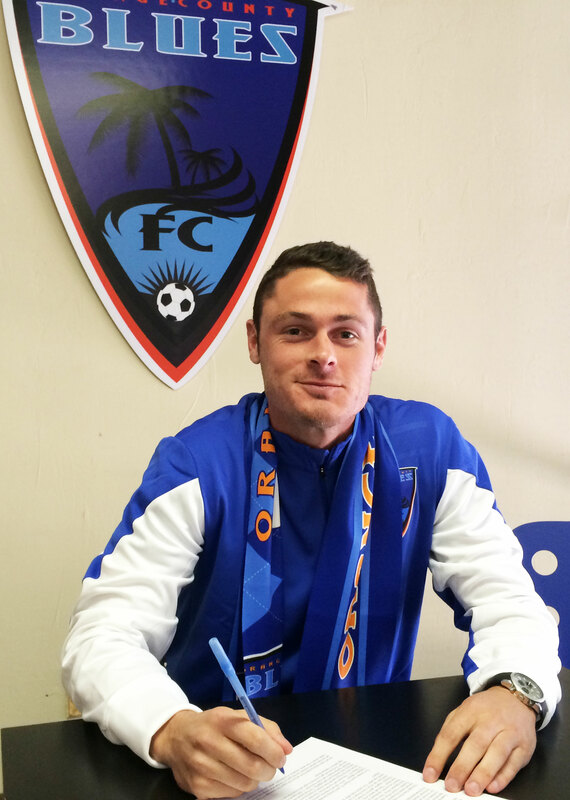 IRVINE, Calif.- Orange County Blues Football Club has officially signed Gibson Bardsley, a forward previously with Dayton Dutch Lions. Bardsley played at Western Washington University in Bellingham, Washington before beginning a bright career in USL PRO. He turned professional in 2011 when he signed with Charlotte Eagles, and made his professional debut on April 29 in a game against Charleston Battery. Gibson, 24, had a great season in 2013 with Dayton, leading the team in goals and assists. Bardsley tallied 25 points, 9 goals, and 7 assists in the 2013 season with the Lions, and was named to the All-USL PRO 2nd Team. “When he was introduced to me, I sensed his motivation for success, and this is one of the great attributes that we expect all of our players to have for our upcoming season if we want to win the league,” said Head Coach Daryuosh Yazdani. OC Blues FC’s first home match at Anteater Stadium at UCI is set for Saturday, April 5th, as the Blues welcome expansion franchise OKC Energy FC. The Blues 2014 season begins on Saturday, March 22nd at StubHub Center in Carson, for a match against the newly formed LA Galaxy II. 2014 Season seats for OC Blues FC are on sale now. Join the family and be guaranteed to be a part of the inaugural season of professional soccer in Orange County. For more information on how to become a Season seat holder, call (714) 871-0484, email seats@bluessoccerclub.com, or visit www.ocbluesfc.com.